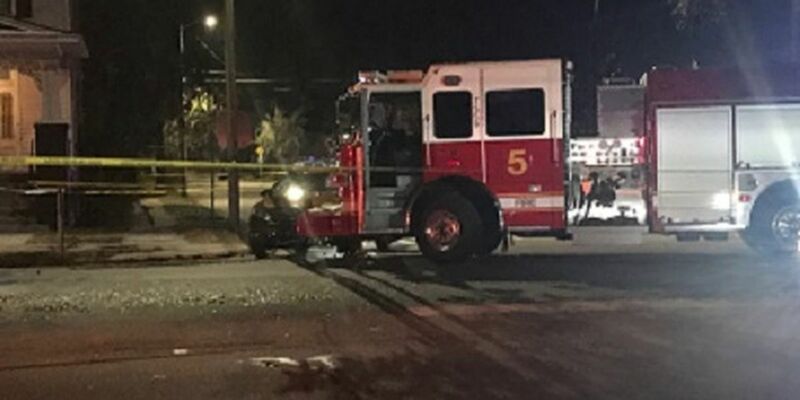 One person was taken to the hospital after a crash involving a car and a Savannah Fire truck Thursday night. It happened around 9:25 p.m. Savannah Police say the truck was responding with lights and sirens to a vehicle fire at 36th and Burroughs streets. The truck was traveling west on 37th street when the driver attempted to turn right onto Burroughs Street. That’s when a female driving a Toyota Venza, came up on the right side of the fire truck and struck the passenger front portion of the truck. The woman transported to the hospital and is in stable condition. None of the personnel in the fire truck were injured. Savannah Police’s TIU continues to investigate.